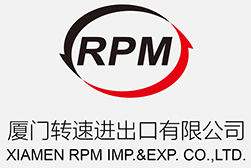 Rimpex Rubber supplies Aromatic Polymer Resin. Polyphenylester also called poly p-hy-droxybenzoic acid benzene ester modified PTFE is a new high property special engineering plastics.It possesses all merits of polyphenyl ester and PTFE, smoothing the later all demerits and becoming new materials. We can provide particle size 8um to 10 um of polyphenyl ester, 11um to 15um of PTFE resin and at different rate compounding polyphenyl modified PTFE power or monlding. Resistance to heat, heat deformed temperature is morn than 288℃, loading temperature 250℃ for long use. At 315℃ temperature, the rate of wear is stability.Friction factor is 0.18 to 0.22, takes on self-greasy property and uses as self-greasy parts.Compressive creep value is 1/5 PTFE's, compressive creep property of it is better than glass fibre, carbon fibre , black lead, bronze etc packing and it has good size stability.The rate of wear is 1/1000 PTFE's in the air.The rate of wear separately is 1/4 and 1/100 of glass fibre in the air and water.Limit PV value is high. When it uses as bearing , its limit PV value tops 126.1Mpam/min, far away 84.1Mpam/min of filling protruded, bronze, bearing.No damage to all abradant including soft metal material such as aluminum, aluminum silicone, aluminum bronze.Resistance to chemical corrosion, good chemical inertness to inorganic acid, alkali, salt at room temperature, except for strong oxide acid and concentration caustic alkali, excellent resistance to water and water steam.Good physical property for example low absorption, machinery property such as processing, electrical isolation, gas sealing, non-adhension etc and innocuity. Good self-greasy property and innocuity, widly use in food, making paper, texile industry, as self-greasy bearing, bearing backing etc. Friction in water, frictional property almost changes and to be suitable for use in water, such as, immersible, motor bearing, water valve switch bearing, ocean bottom pipeline backing etc. Z-351(II) mainly for plasma spray coating, flame spray coating, etc. Similar to graphite, MoS2, it has extraordinary self-lubricating performance.The kinetic friction coefficient is 0.16-0.32 that achieves lubricant-less lubrication.It is with good resistance to wear and without hurt at counter surface of friction pair in working and also with good resistance to compression wriggle. Its thermal conductivity is 3 -5 times to other plastics such as PTFE and the dielectric properties is also good. Insoluble in most organic solvents even under heating (with the exception of concentrated sulfuric acid and strong alkalis). The Ekonol Polyester is easy to be processed, and widely used in the areas of machinery, electronics and electric equipment. ---Used as lubricant-less bearings, piston rings, pads, sealings, packings etc.working at high temperature, or under water/or in moisture and vapor. ---Compounded with PTFE powder to make bridge slides. Blends of Ekonol Polyester Resin with soft metal powder could be plasma sprayed and form jet motor's wearable sealing coat, which could dramatically elongate the motor's ages and improve the working efficiency.Besides, Ekonol Polyester could be used in lubricantless coating, anti-corrosion coating and anti-stick coating. Molding conditions: 360 ℃-400 ℃ under pressure of 400-1000 KG/cm2 for 3 -5 minutes. With good mechinability, the moulded articles could be further machined into mechanical parts.Fillers, such as Al2O3, short-cut carbon fabric, short-cut glass fabric, can be used to improve its strength. The finished articles of Ekonol Polyester Resin or of the resin with fillers are mainly used as heat-resistant insulators, self-lubricating bearings resistant to heat and wear, and radiation-resistant parts. The Z-351 Resin could be compounded with PTFE resin in any proportion and can be molded like PTFE resin.The Z-351/PTFE composite integrate the two materials'advantages and overcome PTFE's shortage of poor wear resistance and cold wriggle.Testing data show that PTFE filled with 20-30 % Aromatic Polyester Resin has much higher maximum PV value than pure PTFE and Ekonol Resin.Blending with Ekonol (Aromatic Polyester) Resin can greatly improve PTFE's compression set, compressive strength, wear resistance while the friction coefficient remains. I. Blending the two materials to make fine composition.Recommended Ekonol Polyester Resin's proportion is 20-30 %. Other fillers could be used according to applications.Normally used are molybdenuym disulfide, graphite, glass fabric, carbon fiber, bronze powder, etc. Sintering temperature around 375 ℃.Sintering time depends on article's thickness. Pretreat the surface to be coated, load the plasma sprayer with Ekonol Polyester powder (sometimes mixed with soft metal).Then spray the resin on the surface at high speed to form coat layer.The object to be coated could be metal (Iron, Al, Ti, etc), or plastics, ceramics, etc..Mixed with soft metal (Al, Al-Si alloy), the resin can form coat layer with wide range of hardness.In addition, this process requires neither using solvent nor further sintering, and there is no limitation to coat's thickness.After spraying, the articles can be machined or polished. Similar to PTFE, Ekonol Polyester can also be used in dispersion coating that achieve better wear resistance and friction properties than pure PTFE.Besides, the Ekonol Polyester dispersion forms thicker coat layer in every single operation than PTFE that lead to shorter operating cycle and lower cost.The Ekonol Polyester dispersion is made by dispersing Ekonol Polyester Resin in PTFE suspension. I. Pretreat the surface to be coated. III. After drying and sintering the ground coat, proceed to Ekonol Polyester dispersion coating.Repeat the operation until reaching the required coating thickness. Drying condition: 90-100 ℃, 30 minutes. Ekonol @ is a Registered Trademark of Carborundum Co.